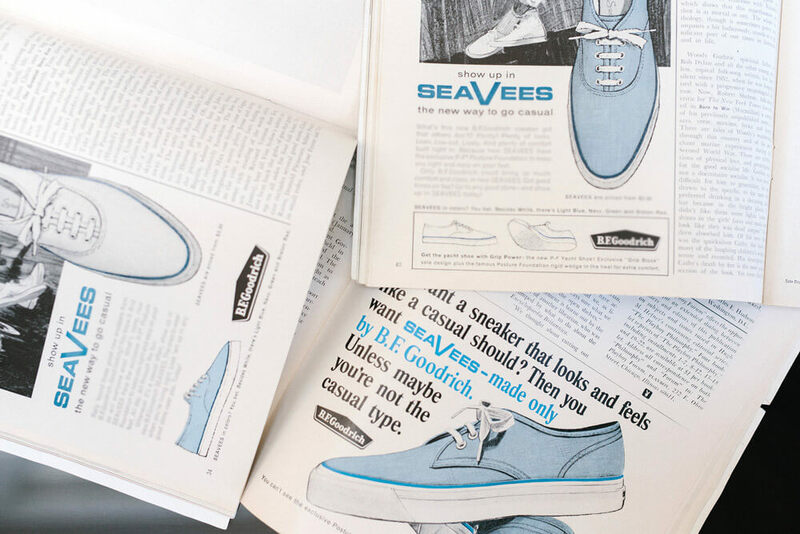 Upon further investigation, Tiller learned that SeaVees was founded in the 1960s by B.F. Goodrich—along with Jack Purcells and PF Flyers. Later, it was acquired by Converse, then finally discontinued. 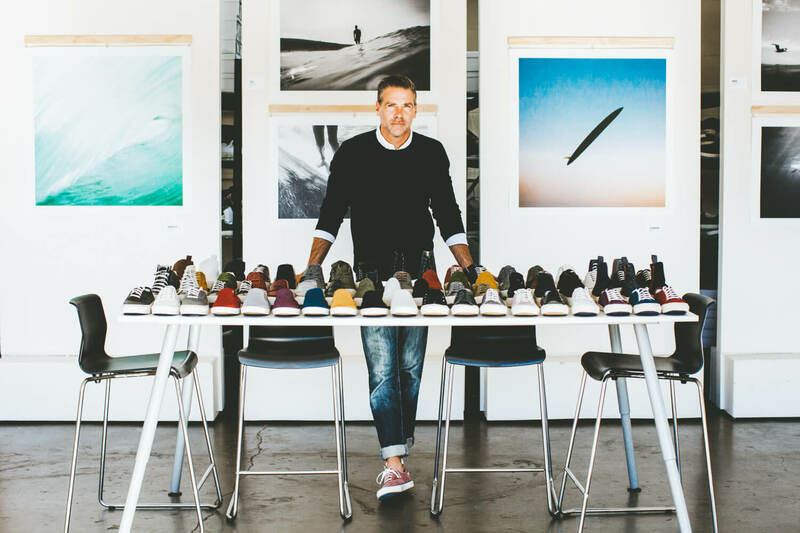 This sneaker, with its “strong heritage and unrealized potential,” was exactly what Tiller, then a successful VP at Stride Rite, was dreaming of when he sought to open his own California-inspired shoe business. Today, SeaVees has been revived to preserve the same casual surf vibe of the originals. And Steven Tiller is living the California dream he’d always envisioned. We thought we’d get the story straight from Steven himself. Read on. What influence does skate & surf culture have in your life—and in your designs? “As a kid growing up in Oklahoma, I always wanted to be from California. My buddies and I were frustrated, landlocked surf kids with our OP corduroy shorts and ringer tees with surfing graphics. We’d skate on the school blacktop and listen to Beach Boys records. So the influence was deep and resulted in a lifelong desire for me to live the California dream. California in its golden age was the certified hub of all things cool, so I’m equally inspired by Steve McQueen’s hot-rod culture, Jack Kerouac’s San Francisco Beat scene and Richard Neutra’s Desert Modernism. What clicked in that Tokyo store to inspire you to kick-start SeaVees—after so many years of the brand lying dormant? “I’d been searching for a long time for a brand to resurrect. I spent years collecting vintage sneakers from my travels around the world. I’d purchase [a pair] for the texture on a toe bumper or the particular grade of a canvas—anything that stood out to me about the design. I kept the shoes in my basement in our Boston home in an oversized duffle bag. It became known as my ‘someday’ bag; someday, if I ever had the courage to start my own brand, I knew many of the answers would be contained in that bag. Somewhere along the way in my career, I had fallen in love with the art of vulcanizing—the time-honored manufacturing process of genuine sneakers. I wanted something with a strong heritage but with unrealized potential. From my years of trend research and forecasting [at brands like Cole Haan, Steve Madden and Nine West], I had determined I wanted something from the mid-century, of American origin, with timeless design and universal appeal. What’s your favorite part of SeaVees’ long & interesting history? Anything you learned (about yourself or business) along the journey of getting SeaVees up & running? How do you think sneaker culture has evolved since the acceptance of “athleisure” as everyday style? And is “athleisure” a term you embrace? It was groundbreaking in that you could ‘show up in SeaVees’ with confidence at a yacht club, a country club, any social affair and enjoy the comfort of a sneaker with the end-use of a more sophisticated, more refined footwear choice. What style rules do you—personally—live by? What’s next for sneakers? Anything interesting you’re seeing on the horizon both industry-wide & at SeaVees? Want to try out Steven’s sneakers? Stitch Fix carries SeaVees! Request a pair from your personal stylist.